New York City – The Golden Magazine Kids Runway Fashion Show is a unique children’s fashion publication that announces the highly anticipated causes that benefit the New York City area with top notch production focused on children. This year the 7th GOLDEN KIDS RUNWAY presents – “FASHION FIGHTS for a CAUSE,” to support Childhood Cancer Awareness to the world using none other than children. The exclusive sold-out show is an extravaganza that integrates exhibition and style on a Child-like runway inside the luxury Stewart Hotel across the street from Penn Station at Madison Square Garden. If you missed the heart of New York City this year, the next production will host their cause in September enchanting a new Venue of guest Designers, Artist, Photographers, Celebrities, Models, and Donors for the cause. This years Fashion Fights for a Cause disturbed the audience with Native American heritage mix of established European and American designers. The celebration under the world renowned Fashion World capital of job creators, historical roots of creativity train tracked by blends of child models, trendy music, talented performances, whimsical clothing and whispered energy donated a storyteller effort to a made worthy cause – THE FIGHT AGAINST CHILDHOOD CANCER. The heritage story production for Golden Kids Runway is that Fighting silently with gestures, style, language, and clothing makes supporting a cause for children without picket signs effortless. Who would not get the attention of Governor Andrew Cuomo other than a Child with a Childhood Cause in the Big Apple? The fight against cancer wears no color and claims no nationality, so the ambiance in the ballroom was Golden story before the clock struck midnight. Who were the designers in the cause this year? Sean John who unleased some amazing girl talent with his collection this year. 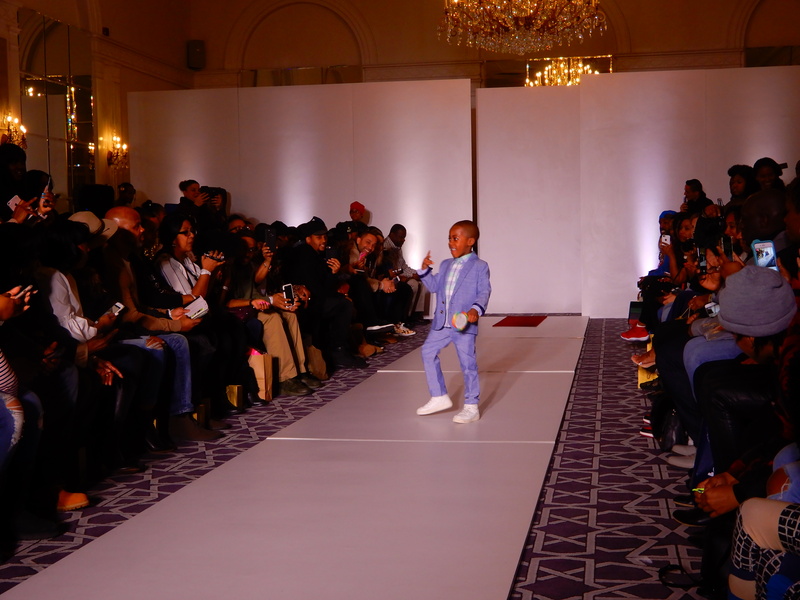 Earnie, the Award winning designer of “Best Boys Collection 2014,” Andy & Evan kicked off the runway with their creative treads from Sofistafunk and MIA New York made a personal VIP appearance to watch and adore her sophisticated kid fur collection. The European designs of Hucklebones and ValMax also joined this years disturbance to Fight for a Cause using Fashion to picket the audience. New York Press Release – Governor Andrew M. Cuomo kicked off the first of four summits supporting the state’s comprehensive effort to protect vulnerable lakes and waterbodies in Upstate New York from harmful algal blooms, or “HABs,” in New Paltz. The Hudson Valley Summit is part of the $65 million four-point initiative unveiled in the Governor’s 2018 State of the State to aggressively combat these algal blooms. The increasing frequency and duration of harmful algal blooms threaten drinking water quality and the recreational use of lakes essential to upstate tourism. As part of the 2018 State of the State, the Governor directed the state’s Water Quality Rapid Response Team, co-chaired by Department of Environmental Conservation Commissioner Basil Seggos and Department of Health Commissioner Howard Zucker in partnership with the New York State Department of Agriculture and Markets, to convene four regional Harmful Algal Blooms summits. The summits bring together national and state experts, including scientists from Kansas, Ohio, Tennessee and Vermont, as well as SUNY College of Environmental Science and Forestry, SUNY Stony Brook, Cornell University, DEC, DOH, the New York State Soil and Water Conservation Committee, and local stakeholders. The Hudson Valley summit will guide the development of four action plans to reduce harmful algal blooms in the following waterbodies: Lake Carmel, and Palmer and Putnam lakes in Putnam County, as well as the Monhagen Reservoir, Orange County. These waterbodies are typical of small lakes that support recreation and provide drinking water. Lessons from these lakes will be applied to other water bodies characterized by surrounding residential development, the prevalence of on-site septic systems, upland agricultural use, and other nutrient inputs—a common set of characteristics across the Hudson Valley. The public is invited to attend the Hudson Valley summit evening session from 6 to 8 p.m., at SUNY New Paltz Student Union Multi-Purpose Room, 2nd Floor, 1 Hawk Drive, New Paltz, NY 12561. Free parking will be available on the campus. Putnam Lake is a 226-acre lake in the town of Paterson, Putnam County. Putnam Lake has shown elevated nutrient levels typical of other New York lakes that exhibit frequent HABs. The lake has suffered more than 30 weeks of documented HAB outbreaks since 2012. It is part of the New York City watershed. Lake Carmel, a 187-acre lake located in the town of Kent, Putnam County, has shown elevated algal levels, typical of other lakes in the Lower Hudson with high phosphorus and nitrogen levels. Lake Carmel suffered 18 weeks of HAB outbreaks, resulting in more than 30 days of beach closures in 2017. It is part of the New York City watershed. Palmer Lake is a 14-acre lake in the towns of Kent and Carmel, Putnam County. 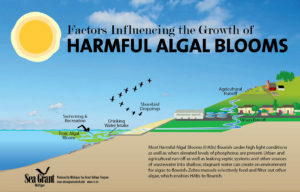 Palmer Lake has shown elevated nutrient and algae levels, although most of these blooms are not comprised of cyanobacteria, but instead are filamentous algae blooms. Palmer Lake suffered its first HAB outbreak in 2017, despite high nutrient and algae levels. It is also part of the New York City water shed. The Monhagen Reservoir, which serves as the drinking water supply for the city of Middletown, has suffered from HABs. Its feeder lakes have suffered periodic HAB outbreaks resulting in the need for creative diversions of water from unimpacted upstream reservoirs, use of algacides, and other strategies to deliver safe drinking water. Twelve lakes vulnerable to HABs and which represent a wide range of conditions and affected uses were prioritized for this comprehensive planning process in the first year of this new initiative. Lessons learned from studying the twelve priority lakes will be applied to waterbodies across the state. At the HABs summits, nation-leading experts will work with local steering committees to begin development of tailored action plans to address the causes of algal blooms in the twelve priority waterbodies across the state. The action plans developed for each waterbody will be used to guide the development and implementation of priority projects, including new monitoring and treatment technologies. The action plans will be complete by the end of May and the lessons learned through these action plans will be applied to other impacted waterbodies. Each of the four summits include an evening session that is open to the public where background information about harmful algal blooms will be provided. The sessions will include talks by experts, a panel discussion and an opportunity for local residents to share recommendations and ideas. Tuesday, March 6 from 6 p.m. – 8 p.m.
Tuesday, March 20 from 6 p.m. – 8 p.m.
Monday, March 26 from 6 p.m. – 8 p.m. The four evening sessions will also be available live online. Please visit Livestream to learn the many ways in which these events can be watched in real time including a desktop browser, mobile browser, free livestream mobile app, and others. Governor Cuomo’s Harmful Algal Blooms program builds on the State’s $2.5 billion Clean Water Infrastructure Act investments in clean water infrastructure and water quality protection throughout New York State. 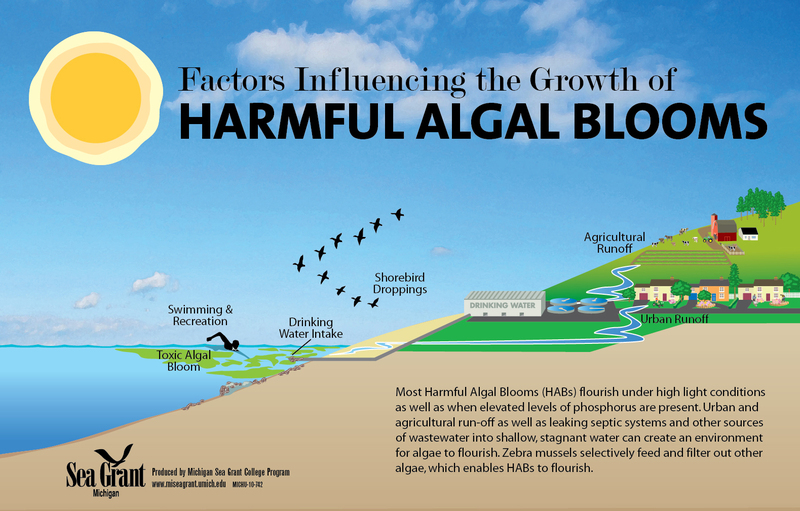 The Harmful Algal Blooms initiative will be supported with funds from both the $2.5 billion Clean Water Infrastructure Act and the $300 million Environmental Protection Fund. Through the Governor’s leadership, New York has developed the most comprehensive Harmful Algal Blooms outreach and monitoring programs in the country, led by DEC sampling of ambient waters across the state and DOH sampling at regulated beaches and public water systems. New York Press Release – Governor Andrew M. Cuomo today announced 14 animal shelters and humane societies across the state have been awarded funding through the New York State Companion Animal Capital Fund totaling nearly $5 million. The Companion Animal Capital Fund is the first state-funded program in the nation to support critical improvement projects at New York shelters. It allows these organizations to make significant updates to their facilities to enhance animal care and health, and help ensure adoptions for dogs and cats. Funded in the 2017-18 New York State Budget, the Companion Animal Capital Fund provides matching grants to offset the costs associated with capital projects such as renovating dog kennels, improving medical facilities, or building more efficient shelters to reduce the cost of operation. Funds can also be used to construct, renovate, rehab, or acquire buildings or equipment needed to house, treat, and care for sheltered dogs and cats. Animal Protective Foundation (Scotia, Schenectady County): $220,867 to support the construction of a new feline care center to create group housing environments, to improve medical facilities, and to support the renovation of the current shelter, including a new heating/cooling system for improved ventilation. SPCA in Cattaraugus County (Olean, Cattaraugus County): $164,436 for the renovation of the current shelter. The project includes the installation of a new heating/cooling system for improved ventilation and weatherization. The shelter will also create a more welcoming adoption environment. Town of West Seneca Municipal Shelter (West Seneca, Erie County): $119,775 for the renovation of the current shelter. The project includes covered kennels and a roof replacement and extension. Herkimer County Humane Society (Mohawk, Herkimer County): $500,000 for the renovation of the current shelter. The project includes the installation of a new heating/cooling system to improve ventilation, the renovation of animal rooms, and the replacement of cages and kennels to improve safety and quality of life. Humane Society of Rome (Rome, Oneida County): $500,000 for the construction of a new animal shelter to replace the current structure. The project includes replacing a 50-year-old facility to improve living conditions and increase capacity. It will also allow for a new ventilation system and the addition of isolation space to improve disease control. Susquehanna SPCA (Cooperstown, Otsego County): $500,000 for the construction of a new animal shelter to replace the current structure. The project includes building a new facility on adjacent land to decrease the flooding risk and to allow for the addition of an adoption counseling area. Town of Islip Municipal Shelter (Islip, Suffolk County): $498,200 for the construction of a new animal shelter to replace the current structure. The new shelter will replace the 54-year-old current building to increase capacity and improve safety. It also includes the addition of a new surgical suite. Town of Smithtown Municipal Shelter (Hicksville, Nassau County): $168,750 for the construction of an addition to the current shelter. The project includes the construction of a new building to house intake of animals, isolation, and trap-neuter-return areas. Humane Society of Middletown (Middletown, Orange County): $439,000 for the construction of an addition and renovation of the current shelter. The project includes the construction of a new wing with quarantine and treatment areas and expanded animal housing areas to increase capacity. SPCA of Westchester (Briarcliff Manor, Westchester County): $500,000 for the construction of a new animal shelter to replace the current structure. The project will consolidate several buildings into a single, modern facility to modernize care. City of Oswego Municipal Shelter (Oswego, Oswego County): $489,375 for the construction of an addition and renovation of the current shelter. The project will weatherize the existing facility and expand quarantine areas to improve disease control. Potsdam Humane Society (Potsdam, St. Lawrence County): $178,895 for the construction of an addition and renovation of the current shelter. The project will replace heating/cooling units for ventilation improvements, make repairs and modifications to kennels, and install sound-reduction materials. It will also include the construction of a detached building for long-term shelter animals to improve daily life. Humane Society of Rochester and Monroe County DBA Lollypop Farm (Fairport, Monroe County): $500,000 for the renovation of the current shelter. The project will add sound-absorbing panels to the dog-holding area and a new heating/cooling system for proper ventilation. Wyoming County Animal Control (Warsaw, Wyoming County): $100,000 for the renovation of the current shelter. The project includes the addition of new kennels to increase safety, comfort, and capacity; a new heating/cooling system to improve heating, ventilation, and air quality; and renovations to improve infection control and daily life for the animals. According to the New York State Animal Protection Federation, more than 150,000 animals annually are brought to non-profit and municipality-run shelters and humane societies. The NYS Companion Animal Capital Fund will help these organizations continue to provide sheltering services to local communities, promote better care for the animals and facilitate more adoptions. 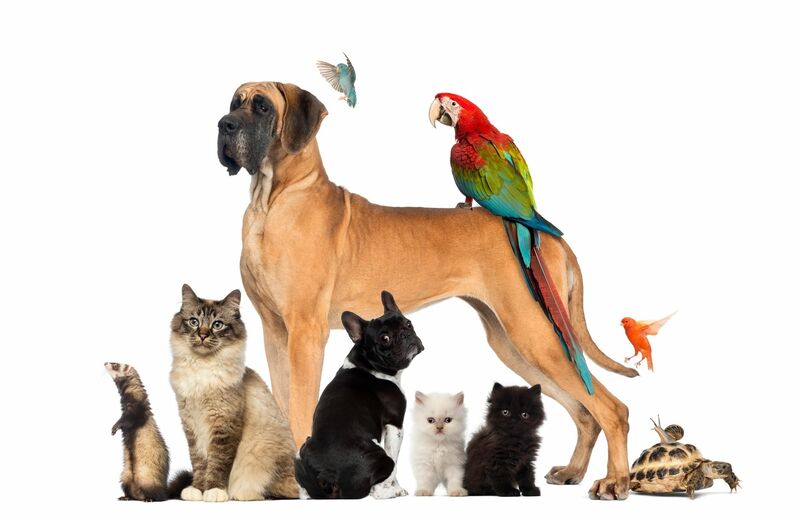 The New York State Department of Agriculture and Markets administers the New York State Companion Animal Capital Fund. The Department, through its various divisions and programs, promotes New York agriculture and its high-quality and diverse products, fosters agricultural environmental stewardship, safeguards the State’s food supply, land, plants, livestock and companion animals, and ensures consumer protection through its weights and measures and food safety divisions. The Department operates the Great New York State Fair, and administers the Taste NY initiative, the FreshConnect and New York State Grown and Certified programs. Follow the Department on Facebook, Twitter, and Instagram. Governor Cuomo today announced Ernst & Young LLP, one of the largest professional services firms in the world, will establish its new U.S. headquarters at One Manhattan West. The expansion is anticipated to create up to 1,152 jobs over the next seven years. EY will occupy 17 floors of One Manhattan West, the 67-story, 2.1-million-square-foot office tower under construction on the west side of Manhattan. EY is anticipated to create up to 1,152 jobs over seven years. To encourage EY’s expansion in New York, Empire State Development offered the firm up to $12 million in performance-based tax credits through the Excelsior Jobs Program. The EY organization is a global leader in assurance, tax, transaction and advisory services. The EY global network has more than 250,000 employees in over 700 offices and 150 countries around the world. EY has been named to FORTUNE’s 100 Best Company to Work for nineteen years in a row, Working Mother’s 100 Best Companies list for the past 20 years, and the 2017 Top Company for Diversity by DiversityInc. EY’s move into One Manhattan West complements the expansion of its Manhattan footprint with two growth and innovation “wavespace” centers in Union Square and Chelsea that focus on business transformation and innovative thinking across disciplines, experience and industry sections and that feature a shared methodology and platform combining EY’s deep experience in areas such as artificial intelligence, robotics process automation, blockchain, data analytics, digital, customer experience and cyber security – with EY’s deep industry domain and regulatory experience. We’re excited to announce that our 2017 Media Awards Competition is OPEN and ready to accept entries. We aim to recognize exemplary coverage of people or issues in the African/African American Diaspora, but all stories done by journalists working in the New York City area are eligible. Our judging categories cover print, broadcast and digital/online news media. Only work originally published or broadcast during the judging period of January 1, 2016 through December 31, 2016 is eligible for consideration.. 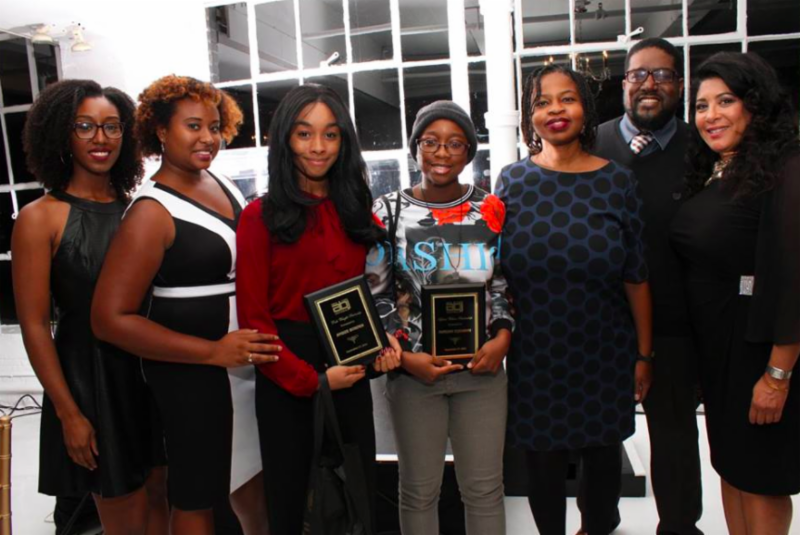 The competition raises money for the First Take NYC High School Journalism Workshop, an eight-week intensive program that teaches reporting, writing and multimedia skills to area youth. This year, awards will be announced at a scaled down mixer/networking event, instead of a dinner gala. Heavy rain should move into the area Monday morning with the heaviest rain falling Monday evening. One to three inches of rain is likely, but three to four inches is possible. Minor urban flooding should be expected with the likely rainfall totals, but more serious urban and small stream flooding is possible with rainfall amounts over four inches. Coastal flooding will likely be minor for multiple high tide cycles Monday into Tuesday morning. If the surges coincide with the heaviest rain and strongest wind, moderate coastal flooding could occur. Widespread dune erosion and localized wash overs are possible along the Atlantic Ocean coast. Sea levels may be between 16 and 22 feet on the ocean and 6 to 12 feet on the sound. Strong winds are expected throughout Monday with winds between 30 and 40 mph with gusts as high at 60 mph and 70 mph on the Island. There is a high wind warning in effect for New York City and Long Island. A coastal flood watch/advisory is in effect for the western Long Island, Long Island coastline, and portions of NY Harbor. A major winter storm could affect a large part of central and northern New York. The potential exists for heavy wet snow which could accumulate enough to produce power outages and very difficult travel conditions Monday afternoon and night. Accumulations of 3 to 7 inches are possible depending on location, mainly in higher elevations. High winds could also exacerbate power outages as the storm moves through the region. The Division of Homeland Security and Emergency Services Office of Emergency Management is coordinating preparations and resource allocations with state agencies and local governments in anticipation of the storm. The State Emergency Operations and Watch Centers will be staffed for enhanced monitoring through the day tomorrow. The stockpile in Guilderland, Albany County is prepared with two High Axle Vehicles, each equipped with an inflatable raft, adult and child Personal Flotation Devices (PFDs), blankets, hand tools and foldable ladders, four zodiac style boats with outboards on 2 trailers, spare PFDs, spare outboards on two trailers; several PWC on trailers; three enclosed and tracked Utility Tracked Vehicles, and one tracked Sport Utility Vehicle. The Brentwood stockpile in Nassau County has staged two High Axle Vehicles each equipped with an inflatable raft, adult and child Personal Flotation Devices, blankets, hand tools and foldable ladders and the Brentwood & JFK Stockpiles each have one Sandbagger and there are 195,000 sandbags; various generators, light towers and pumps ready to deploy if necessary. The Office of Parks, Recreation and Historic Preservation has 29 park police, nine 4×4 vehicles, and nine ATVs on Long Island and New York City. State Park personnel and New York State Park Police continue to monitor the storm and continue to prepare and test equipment in anticipation for the mix of weather conditions that are expected throughout the state. State Park Regions in the downstate area (LI, NYC, Taconic and Palisades) are securing facilities against high winds and heavy rainfall, ensuring drainages are clear and (Palisades Park) maintaining lowered lake levels in preparation for increased runoff. Specific to the Long Island State Park Region where we expect the greatest impact: facilities, are being secured for strong winds, heavy rains and storm surge. Equipment is being prepped and moved to higher elevations as appropriate. Also, LI Parks are preparing for possible staging of PSE&G equipment at some facilities if necessary. The New York State Department of Environmental Conservation are readying downstate regions for coastal flooding and has prepared assets in the region that consist of 77 4×4 utility vehicles, 13 ATVs, 4 snowmobiles, and 25 boats in the water and on trailers that range in size form 16 feet to 44 feet and are ready for deployment if necessary. The New York State Thruway Authority has 129 operators ready to deploy 44 Large Snow Plows, 40 Medium Snow Plows and 10 Loaders in the region. The Thruway Authority has more than 26,908 tons of road salt on hand in the lower Hudson Valley. Additional resources from other regions of the state are ready for reallocation as necessary. Activate additional GPS Geo-Fence boundary limits to increase tracking of barges. Motorists are encouraged to sign up for TRANSalerts e-mails, which provide the latest traffic conditions along the Thruway. Thruway travelers can also get real-time updates by following @ThruwayTraffic on Twitter or by visiting thruway.ny.gov to see an interactive map showing traffic conditions for the Thruway and other New York State roadways. The New York State Department of Transportation has more than 3,820 operators and supervisors throughout the state and are ready to respond with 1,487 large plow/dump trucks, 210 medium plow/dump trucks, 343 loaders, 45 truck/loader mounted snow blowers, 61 tow plows, 14 pickup trucks with plows. The Department of Transportation also has more than 430,000 tons of road salt on hand. To address the potential of high winds and coastal flooding on Long Island and the Hudson Valley, the Department also has 15 vacuum trucks with sewer jets, 77 chippers, 12 tree crew Bucket Trucks, 13 large water pumps, and 56 traffic signal trucks. Motorists are reminded to check 511NY by calling 511 or by accessing www.511ny.org before traveling. The free service allows users to check road conditions and transit information. Mobile users can download the updated, free 511NY mobile app from the iTunes or Google Play stores. The app now features Drive mode, which provides audible alerts along a chosen route while a user is driving, warning them about incidents and construction. Users can set a destination prior to departing and receive information on up to three routes. All New Yorkers can obtain emergency information through NY-ALERT, the State’s free, all-hazards, web-based alert and notification system. To subscribe, visit nyalert.gov. 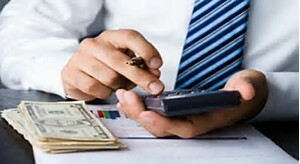 If you do not own or have access to a computer, call toll-free 1-888-697-6972 or download the app on your smartphone at ialertz.com. Bridges & Tunnels (B&T) has inspected roadway surfaces and drainage systems at all MTA bridges and tunnels. All Emergency supplies – facility generators, fuel, hand held anemometers have been checked. Construction zones have been checked and equipment and work areas are secured. These construction areas will also be monitored closely during the storm. METRO-NORTH has ordered extra buses as a precaution to deploy at the following locations: Wassaic, Danbury, South Norwalk and Waterbury. LIRR is deploying extra staff to deal with potential any track and power issues. New York City Transit (NYCT) is deploying pump trains and inspecting and clearing any potential problem area drains. Also have debris trains ready for quick response to downed trees. Approximately 1,000 extra maintenance personnel are being deployed to terminal inter-locking and yards for Monday morning service. The Port Authority of New York and New Jersey has made extensive preparations for personnel and equipment at all of its facilities. Operations are in place to ensure that facilities can be operated safely. The airports, bridges, tunnels and PATH also have weather desks where key personnel analyze weather reports and deploy staff and equipment. The Port Authority also is in contact with other local, state and federal officials and agencies to discuss regional preparations for the upcoming storm. Depending on the severity of the airlines may cancel flights in advance, so travelers should check with their carriers to make sure their flight will be taking off before going to the airport. The Port Authority also will have supplies of cots and other essential items ready to accommodate passengers who may become stranded at the airports. The Port Authority also urges bus travelers to check with their carriers before going to the bus terminals since many public and private carriers may cancel service if conditions warrant. The agency also may impose speed restrictions on its crossings, or close them entirely, if weather conditions warrant. For up-to-the-minute updates on Port Authority crossings, airports and the PATH system, travelers are encouraged to sign up for Port Authority alerts at http://www.paalerts.com/. Travelers may also call 511 or visit 511NY.org or 511NJ.org for further information on highway conditions. Develop and practice a ‘family escape’ plan and identify a meeting place if family members become separated. The leading cause of death and injuries during winter storms is transportation accidents. Before getting behind the wheel this winter season, every driver could learn a lesson from our school bus drivers. It is elementary, but we have to keep our vehicles clear of ice and snow. Good vision is a key to good driving. Plan your stops and keep more distance between cars. Be extra alert. Remember, snowdrifts can hide smaller children. Moreover, always match your speed to the road and weather conditions. Secret Snowflake, a holiday initiative spearheaded by NYC Service in partnership with four City agencies, will provide gifts for children and youth served by NYC Family Justice Centers, foster care or the shelter system. NEW YORK––The de Blasio Administration today announced that it is supporting more than 1,300 children and youth with crucial necessities and toys this holiday season through the Secret Snowflake initiative. In 2016, Secret Snowflake mobilized 900 City and private sector employees to answer 1,300 hand written letters from children and youth in need and provide them with gifts this holiday season, doubling the number of children served through letters last year. In addition, 10 organizations, including Greenlight Bookstore and Eeboo Toys, contributed over 2,000 in kind donations such as books, toys and school supplies. These donations are distributed to City agency partners to supplement letters and serve additional children. The Secret Snowflake is led by NYC Service in partnership with the Administration for Children’s Services, the Department of Homeless Services, Department of Social Services and the Mayor’s Office to Combat Domestic Violence. Additionally, NYC Service coordinates with City employees, including the Mayor’s Office for International Affairs, which engages the diplomatic community in service. This year, participants included representatives from the Consulates General of Australia, Belarus, Denmark, Germany, Lebanon, Singapore, Sweden, Thailand and the United Arab Emirates. Representatives from the Permanent Missions of Chile, France, Germany, Kuwait, Singapore, Switzerland, the United States, the Delegation of the European Union as well as staff from across the United Nations also participated. Through the Secret Snowflake Holiday initiative, NYC Service actively recruits corporate partners such as Brookfield, HBO, The New York Times and Yelp to answer hand written letters from children in need. NYC Service also uses the holiday season to involve local businesses in Secret Snowflake. Greenlight Bookstore in Brooklyn joined the initiative this year and engaged their customers and publishers in a holiday book drive that raised nearly 500 books that will supplement answered letters and serve additional children. Over the last three holiday seasons, Secret Snowflake has mobilized a total of 1,548 New Yorkers to answer letters and provide gifts for over 2,200 children and youth. The initiative has also helped collect over 3,000 in-kind donations from organizations across the City to supplement letters and serve additional children. “Initiatives such as Secret Snowflake are instrumental in providing essential items to young people during the holidays and bringing joy to families throughout the city. From books to toys to other necessities, Secret Snowflake fills a critical void. 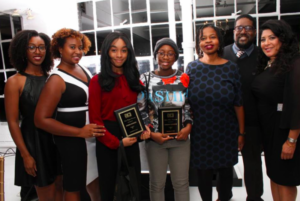 We applaud this program, the Mayor’s Office and all the companies, organizations and individuals invested in this wonderful effort,” said Heather Butts, co-Founder of HEALTH for Youths. “There are many people who are experiencing trying times during the holiday season. The Secret Snowflake initiative helps to lighten the burden. The Secret Snowflake initiative is a great one! Thank you Mayor de Blasio,” said Nikki Lucas, Female District Leader of the 60th Assembly District in Brooklyn. “Our strongest partnership at City Mission has been working with the Mayor’s Office and the Department of Homeless Services, addressing the marginalized individuals, families and communities in New York City. We are so encouraged by the Secret Snowflake initiative as it inspires other New Yorkers to show love in action to those in need. More than ever, we all have a role in furthering civility, community services and social justice,” said Lester Lin, Founder and Board President of City Mission. NYC Service, a division of the Office of the Mayor, promotes volunteerism, engages New Yorkers in service, builds volunteer capacity, and mobilizes the power of volunteers and national service members to impact New York City’s greatest needs. To learn more about NYC Service and connect to volunteer opportunities across New York City, visit nyc.gov/service. NEW YORK—First Lady Chirlane McCray today announced the launch of Trauma Smart, a new program through the Administration for Children’s Services to help parents, caregivers and teachers better support young children who may experience adversity. This program is a part of ThriveNYC, the City’s $850 million effort to prevent and address untreated mental illness and substance misuse. On Saturday, December 10, at the Sheltering Arms Children and Family Services in the South Bronx from 10 a.m to noon, the First Lady will host an interactive morning of family friendly activities to teach parents, caregivers and teachers how to use strategies that help children navigate challenging situations and better handle their emotions. “We love our kids, but sometimes, communicating with them about their feelings can be tough. That’s especially true when a family is in distress. The goal of Trauma Smart is to help kids learn how to express their emotions in a healthy way, and help parents bond with their them. By incorporating ThriveNYC, our comprehensive mental health plan, into our Pre-K and EarlyLearn Centers, we’re giving parents, caregivers and educators the tools to help children build healthy relationships, handle conflict, and make good choices. We’re also providing parents with information and skills that can make it easier to connect with their child. We want all children to grow up healthy,” said First Lady Chirlane McCray, who spearheads the City’s mental health and substance misuse efforts. The implementation of Trauma Smart in ACS’ EarlyLearn child care centers and home-based child care programs is part of the Act Early portion of the ThriveNYC initiative, which emphasizes social emotional learning for young children. Over the next four years, ACS will implement Trauma Smart in its EarlyLearn programs, which serve children from birth to age five. Ninety percent of brain development takes place before age five, which is why it is so important to provide the tools to adults that work with young children to assist them in building skills and the capacity needed to overcome adverse experiences. As part of Trauma Smart, social emotional learning training and coaching will be provided to child care providers, parents, social workers, assistants, other program staff and community members. Create practical and enduring change for children, families and communities. Social emotional learning involves families and other key caregivers and adults supporting children as they build their capacity to cope with adversity and stress. In early 2017, ACS EarlyLearn sites will begin implementing Trauma Smart’s new social-emotional learning practices, which helps teachers, staff and parents to better support and nurture children’s social and emotional development. Studies have shown that brain development begins at birth and that stress can negatively impact children’s brain development. Adverse experiences of any kind, such as being abused, witnessing abuse, separation from parents or substance abuse in the home, can have a lasting impact on children’s brain development and health. Well-developed social-emotional skills can protect and reverse the negative effects of stress and trauma. Research shows that supporting social emotional learning skills in children helps build a strong foundation for success in school and beyond. Trauma Smart is modeled after Kansas City’s Crittenton Children’s Center’s Trauma Smart (TS) model, an early childhood trauma intervention initiated in 2008. New York Press Release ~ First Lady Chirlane McCray will celebrate the holidays again this year with children from across the five boroughs at Gracie Mansion. Approximately 200 children who reside in City homeless shelters and their chaperones will come to Gracie Mansion for the biggest Gracie children’s holiday party yet. Visitors will take a tour of the historic house, do arts and crafts, learn about cultural traditions and decorate Gracie for the holidays. First Lady McCray will welcome approximately 200 children and their chaperones from City homeless shelters to Gracie Mansion to celebrate the holidays. Upon arriving at Gracie Mansion, docents will lead children on a short tour of the historic residence. After, the children will be invited to create ornaments, and decorate the trees and Gracie Mansion tent for the holiday season. The arts and crafts stations will teach the children about the various cultural celebrations that are observed during this time of year: Christmas, Chanukah, Kwanzaa and the New Year. Children will receive goody bags with gifts from Nintendo of America Inc., The LEGO Group, Nickelodeon Radio, Discovery Communications, and Whole Foods Market. This event is made possible by a generous partnership with RBC Capital Markets.